This session begins to discuss the following critical topics to eschatology: Who is the true Israel? Who is the real Jew? 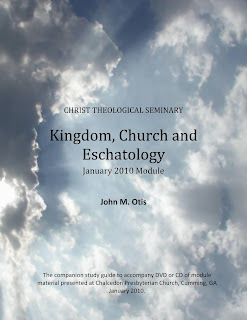 In this lecture, Pastor Otis, gives the exegetical basis for rejecting the Dispensational Premillennial idea that God has two distinct peoples in history, the Jews and the church. In refutation of this, he shows how the church of the New Testament is the true Israel of God and that the church is the true seed of Abraham. Apr 4 You Are Vainity, but Then Again, So Am I.